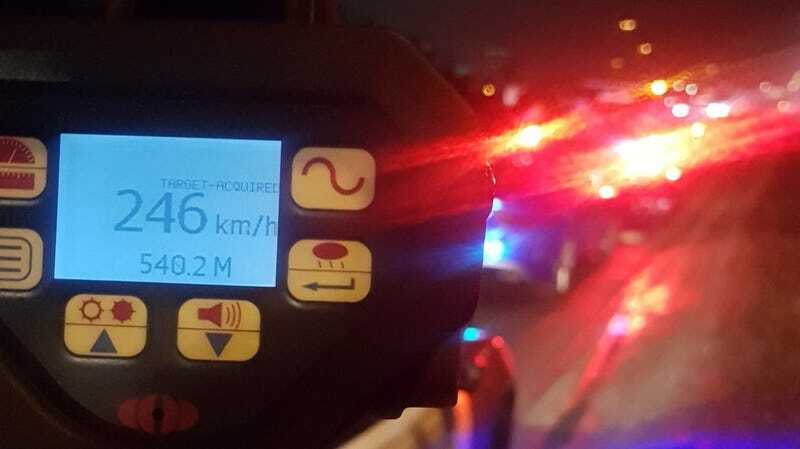 Monday night on a public road outside of Toronto, a 19-year-old took an Audi up to 246 kilometers per hour, or about 153 mph, all right in front of police, who pulled him over and promptly impounded the Audi. According to a police spokesman, the Audi (model unknown), didn’t even belong to the driver. “[He] found a nice open stretch of the 403 and opened it up in front of officers who were doing speed enforcement,” Schmidt said. The police stop resulted in an immediate week-long license suspension, and the Audi was also impounded for a week while police consider further charges, the Toronto Star said. Now, it’s generally NOT speed that kills, but I think we can all agree this fella should’ve just gone to the track.